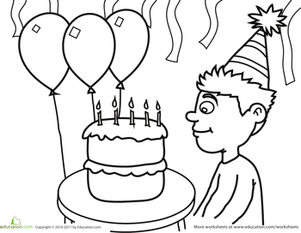 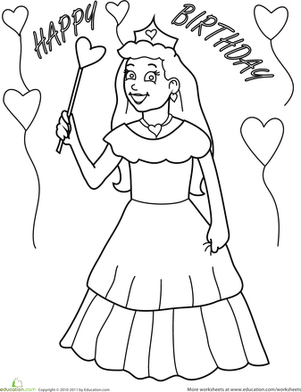 Coloring birthday printables makes a great party-time activity. 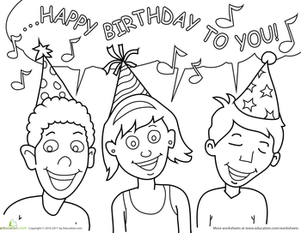 This coloring sheet features a trio of friends singing the happy birthday song. 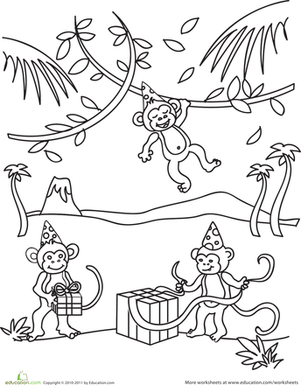 As kids colour, they get fine motor skills practise, and they boost word recognition skills, too. 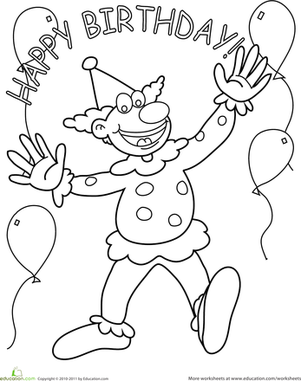 Don't forget to print out more birthday-themed pages Here. 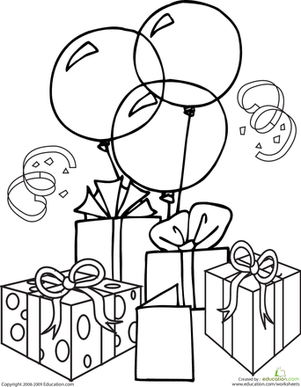 Want to send a special message of birthday cheer? 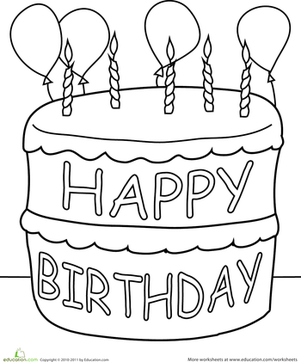 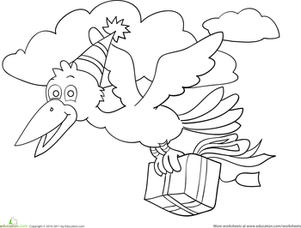 Your child can colour these festive birthday coloring pages and make someone's day. 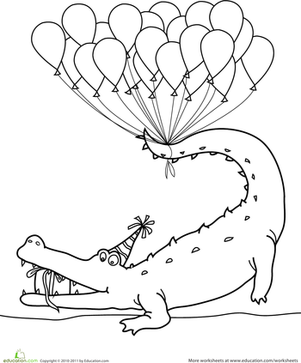 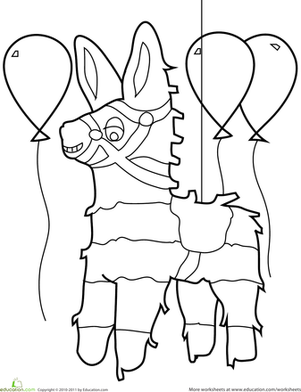 It's party time with this birthday coloring page, which features birthday balloons and gifts! 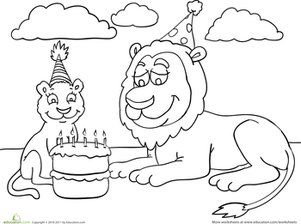 Bring out your crayons and get the celebration started. 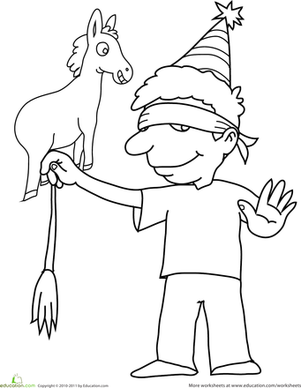 It looks like the party-goer on this birthday coloring page is taking a peak as he tries to pin the tail on the donkey!